Barcelona, our city, has a district called Gracia. Every August since the 19th century, the streets of this neighbourhood come alive: it’s a popular festival called La Festa Major de Gràcia. Each street has a theme and there is a popular competition to win the prize of being “the best-ornamented street of the year”. 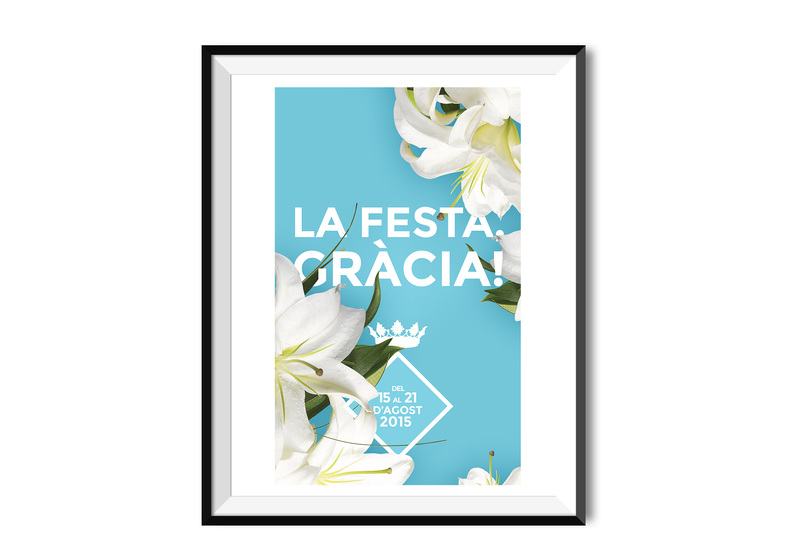 There is also a contest for the best poster to illustrate La Festa Major de Gràcia. We participated in 2014 and 2015. 2014: we worked with the concept of the neighbourhood’s streets. Some of them were coloured so they formed a G (for Gràcia). Also, we used lively colours to express the energy of this Festival. 2015: we worked with the concept of the district’s coat of arms, featuring a blue background and lilies. We combined photography and cold colours. In each year we became finalists with the posters. 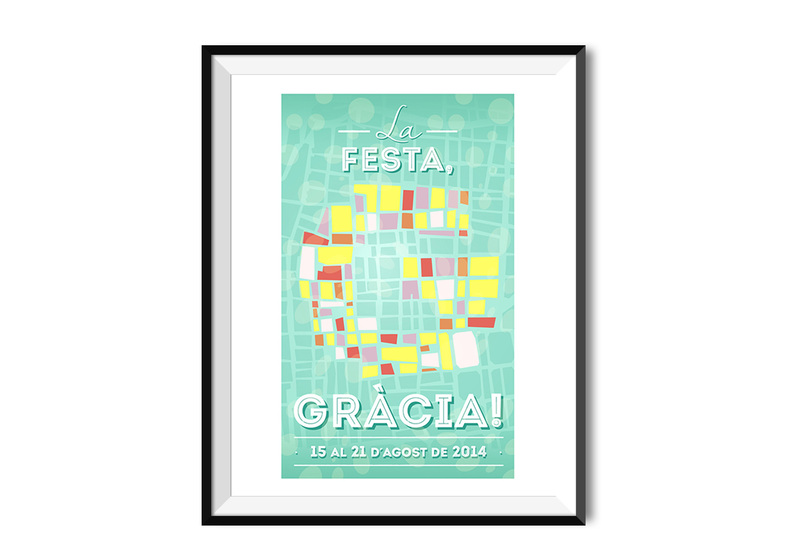 Do you want to buy our posters of Festa de Gràcia? We sell them if you want the digital files and print it. We sale each by 15€.